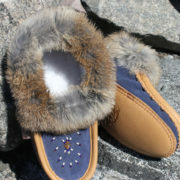 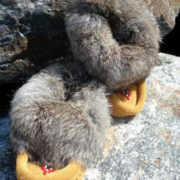 These moccasins are made of buffalo-hide. 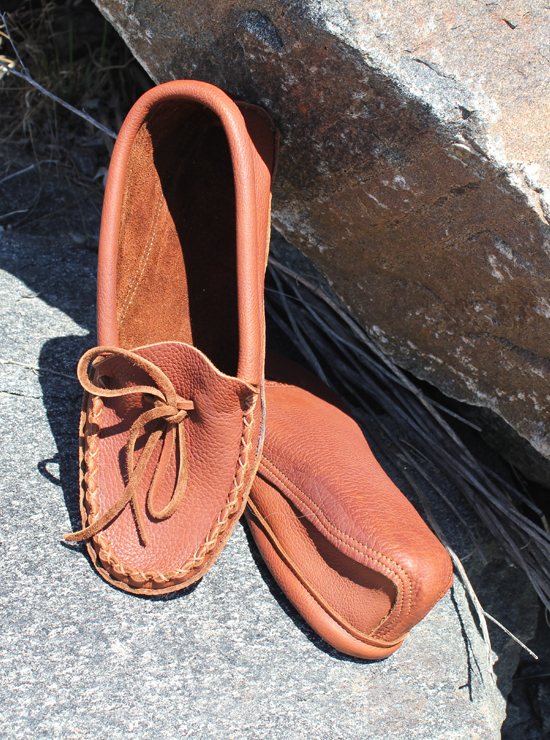 The leather is super-soft and comfortable and the double leather sole makes them perfect for indoor and limited outdoor wear. 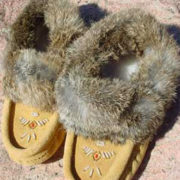 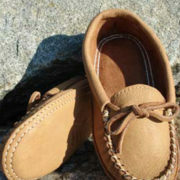 These moccasins do not have a layer of foam in the insole, providing a quality Earthing experience. These fit larger than most men’s moccasins; order down from your shoe size.